Mr. Oleg Prozorov, the Belgian-Luxembourg Chamber of Commerce in the Russian Federation was created in Moscow in 2013. What was the reason? And how has the work of the chamber evaluate? The true beginnings of the Belgian-Luxembourg Chamber of Commerce in Russia (CCBLR) go back to 1974 when a separate organization on affairs of Belgium, Luxembourg and the Soviet Union was established in Brussels. The purpose of this non-profit structure was to create platforms parallel to public and official institutions for contacts between heads of large industrial enterprises and subject ministries supervising these enterprises. With development of market and business in Russia the need arose in Russia to develop and expand Russian-European business relations. In late 2013, the activists of the Belgian-Luxembourg business community in Moscow asked me to head the project to develop activities of the Belgian-Luxembourg Chamber of Commerce in Russia. I’d like to underline here, that the Belgian-Luxembourg Chamber of Commerce in Russia is a non-profit organization, independent legal entity, established in full compliance with Russian legislation. Our Belgian-Luxembourg Chamber of Commerce in Moscow is a true association of entrepreneurs, financed by members and receives no subsidies or grants from Belgium, Luxembourg or Russia. In order to support our members, we have signed a special agreement with our partner in Belgium and Luxembourg, Luxembourg-Russian Business Chamber, and Belgian-Luxembourg Chamber of Commerce for Belarus and Russia. What are main indicators of the Chamber’s recent activities? Over last years, we organized a lot of events, round tables and workshops on relevant topical issues, meetings with leaders of a number of Russian regions at the request of chamber members; we participated actively in all major business events, exhibitions and forums. There were few business missions to the Russian regions; and Russian delegations paid a visit to Luxembourg and Belgium. Let me give a simple example: after a visit of the business delegation from Russia to Belgium and Luxembourg, the consequent performance rate, as revealed, was 95%, i.e. 9 out of 10 participating Russian companies received a new impulse to development of their activities. From 2015 the central annual event, organized by the Belgian-Luxembourg Chamber of Commerce in Russia, is the business Forum "Eurasian Economic Union cooperation with Belgium and Luxembourg" which takes place yearly in Moscow. Leading experts in logistics, banking, international tax law, as well as in certification and customs clearance, Diplomats, officials participating in Forum's Panel discussions. The purpose of BLCCR Forum is to convey to European business, that they can work successfully and expand their business in EAEU. What issues are mainly referred to the Chamber? 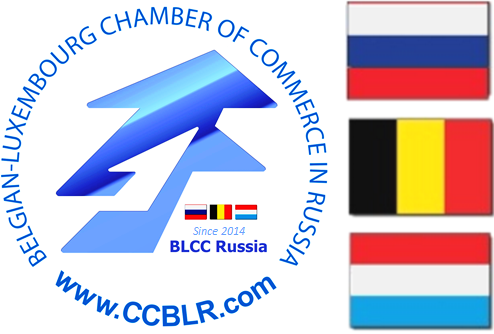 In fact, all references in the Belgian-Luxembourg Chamber of Commerce in Russia can be divided into several groups. The first and probably the most numerous one are questions coming from Belgium, Luxembourg, and the Netherlands, relating mainly to implementation of various procedures in Russia: from securing a work permit to finding a site for production, as well as legal questions of various level. The second group includes requests from Russia, associated with the search for partners in the Benelux countries, though requests from Russian companies are most often reduced to seeking funding. The third group – there are all remaining queries like finding right contacts, applications in the interest of members of the Chamber to various state bodies, organization of meetings with Russian officials and businessmen. How do you assess the interest of Belgian, Luxembourg companies and entrepreneurs in the Russian market? How is this reflected in the volume of investments in the Russian market? The Russian market is of great interest to European businesses, and Belgian and Luxembourg companies are no exception. Located on the border between Europe and Asia, Russia, in its culture, values, mentality is more an European country, than Asian one. Even despite the difficult situation we are presently witnessing and experiencing, Benelux business is looking with confidence towards Russia. We are aware that many manufacturing companies are actively looking for sites and personnel for production localization in Russia. Today Russia is in dire need of advanced technologies in various industries – from agriculture to machine tool building. And European companies have such technologies. In the last five years Luxembourg has consistently been among the top three in terms of direct investment in the Russian economy. But you must understand that now, given the sanctions imposed by the West and the crisis in the global economy, there is a certain veiling of investment activity. We note that the interest in the Russian market possibilities remains quite high, we see it in the strong interest in our work on the part of Belgian, Luxembourg, and Dutch entrepreneurs. How have sanctions affected relations between Belgium-Luxembourg and Russian business communities? Sanctions constitute primarily an instrument of political pressure. We deliberately avoid issues of sanctions, public statements and assessments. Let me stress that the main task of the Chamber is development and expansion of business relations. Business is business, and interests and intentions are sustained in any political situation. Certainly, the current situation affects all, and we occasionally hear that Belgian, Luxembourg, Dutch companies are waiting for some kind of stabilization. But it is important to realize that an unoccupied space in the market could easily be snapped and then there is the risk of missing an opportunity or having to operate in the circumstances of tougher competition. In so far as entrepreneurs are guided in the first place by the interests of their own business, we won’t be talking about sanctions having radically altered relations. In recent years, economic growth has formed the conviction that it is the economy that is primary, and yet, the geopolitical crisis has shown us that it is politics that is indeed primary. What is the overall statistics of imports and exports between Russia and Belgium, Russia and Luxembourg? Today it is very difficult to talk about statistics on imports and exports between the both sides. Obviously, in connection with the adoption by the President of Russia Vladimir Putin prohibitive measures against imports of products from European countries, the share of imports from Belgium has declined, as Belgium, along with machinery, equipment, vehicles, mineral products shipped to Russia pears, apples, strawberries, etc. The share of exports from Russia increased slightly as Russia supplies to Belgium oil, petroleum products, precious and semi-precious metals. But as I said earlier, in Russia there is a lack of high-tech equipment that Belgium has actively delivered and continues to deliver. Consequently, trade turnover between Russia and Belgium amounted to 15 billion euros with balance in favor of Russia of 9.7 billion euros, meanwhile Russia exported to 3300 Belgian companies (various categories of goods) to the amount of 5,3 billion euros. It was predicted that in the past year the volume of trade would remain the same – 15 billion euros, but the balance in favor of Russia would increase to 11 billion euros. With regard to Russian exports to Luxembourg, according to FCS figures, in the structure of exports from Russia to Luxembourg the bulk of supplies is made up of machinery and equipment – 37.1%. Coming up next are non-precious metals and products thereof (22.3%), instruments and apparatus, optical and cinematographic parts and accessories (22.1%). Four product groups form the structure of Russian import: metals and products made of them (32.8%), machines and equipment (25.5%), polymer materials (13.6 %), wood and pulp and paper products (12.9 %). In what direction is cooperation between Russian and Belgian-Luxembourg business communities developing most actively presently? There are sectors which development is the most promising and dynamic, such as pharmaceuticals, agricultural production, and machine tools. There are good prospects for cooperation in modernization and construction of chemical plants, production of chemical and pharmaceutical products. The space theme and space, aviation, manufacturing of automotive components, healthcare are also becoming priority areas of bilateral cooperation. We are actively cooperating with Russian government agencies, regional governments in order to provide as simple and quick entry to the market as possible. You know that in Russia today there is a large number of various public and parastatal institutions designed to promote development of business initiatives, but, unfortunately, they are not always effective. Judging by the number of incoming requests to us we can see that interest in Russia is still high, and we are confident that well-sustained development lies ahead for Russian-Belgian and Russian-Luxembourg relations.